My Sunday mornings usually include waffles or pancakes. Since I’m not a morning person, I need those recipes to be easy. I’m never in the mood to whip up egg whites on a Sunday morning. Unlike many waffle recipes, this one doesn’t ask that of me. Instead, you’ll see that it uses a generous amount of baking powder. 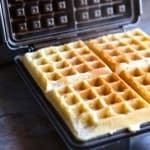 The baking powder, combined with white rice flour, cornstarch, and sweet rice flour, makes for a light and crispy waffle. The recipe, as written, uses “white” flours. Feel free to use any whole grain flour you’d like in place of the white rice flour or sweet rice flour. You want to replace the flour one for one. So if you want to replace the white rice flour with millet flour, use 4 ounces of millet flour. Or you could use 2 ounces of millet flour and 2 ounces of sorghum flour. As long as you use 4 ounces total, you’re all set. 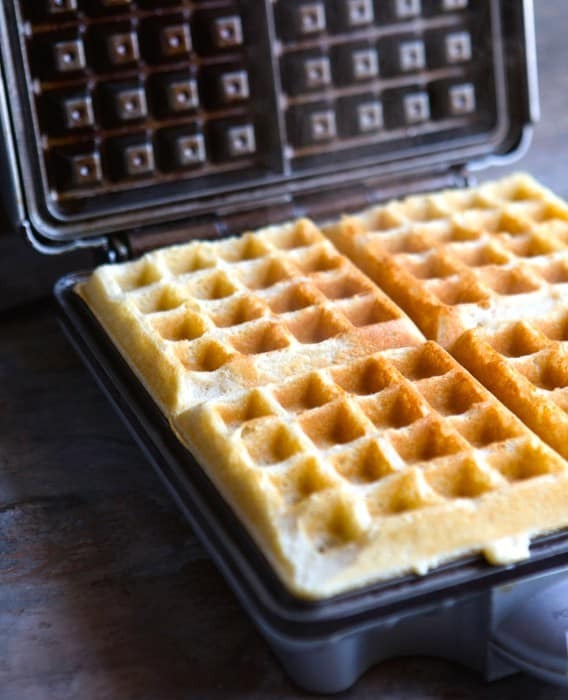 When made with a different flour, the texture of the waffles changes–usually the waffles get a bit denser. But they still work and taste delicious. These waffles bake up crisp on the outside and tender and light on the inside. In a medium mixing bowl, whisk together white rice flour, cornstarch, sweet rice flour, baking powder, granulated sugar, salt, and xanthan gum. Add milk, eggs, oil, and vanilla extract. Whisk until smooth. Heat waffle iron according to manufacturer's directions. Spray iron generously with non-stick cooking spray. 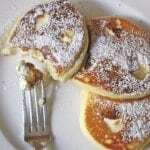 Spoon batter onto hot iron (amount of batter will vary depending on your iron) and bake until golden brown and crisp. Baking powder contains wheat flour, so this recipe is not truly gluten-free, therefore should not be fed to people with celiac disease. If you’re going to label something “gluten-free”, please make sure that it really is. In the United States, most baking powders are totally gluten-free and are labeled as such. I hope that helps! Hi Elizabeth, I’m a huge fan of yours both here and at Serious Eats. I read the entire post about replacing the fours but is there a suitable replacement for the cornstarch? I know often times people substitute arrowroot or tapioca but I definitely want to keep the crunchiness of these waffles. Any suggestions? Thanks so much. 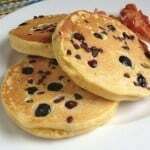 For these, I’d use tapioca starch. I think it would keep the crunch while replacing the cornstarch nicely. Enjoy! Hello…I left a comment asking a question here about this recipe and it’s now gone. It was waiting moderation for 2 weeks now it disappeared…What’s up with that? Help! Hi Holly! Your first comment went to my spam folder. Sorry about that! Thanks for letting me know it wasn’t approved. I found a few other comments in there. Hi! 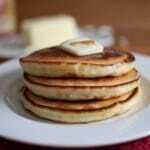 I love this recipe, but I changed it a bit – used raw buckwheat flour and arrowroot starch. Other ingredients are the same – everything seems to work. How to Make the Best Gluten-Free Sandwich Bread: An Easy Recipe for Everyone!